Right-click the image and open in a new tab, or access the sheet directly with the link below to see it in full. Parsel's Tongue is a new Legendary chest item in Patch 7.2.5. It increases your total damage done by 1% and Leech by 2% for 8 seconds every time you use Cobra Shot, stacking up to 4 times. Soul of the Huntmaster is a new Legendary ring that gives Beast Mastery Hunters the Bestial Fury talent without having to choose it. This allows you to run with 2 talents in the same row. It is not particularly good, but if you get it, you should use One with the Pack in your talent UI, and let the ring activate Bestial Fury for you. Call of the Wild are a pair of Legendary bracers which reduces the cooldown of all Aspects by 35%. This applies to Aspect of the Wild, Aspect of the Cheetah, Aspect of the Turtle, and Aspect of the Eagle for Survival Hunters as well. The Mantle of Command is are a pair of Legendary shoulders for Beast Mastery Hunters. It increases the damage of all your pets by 5% for 8 seconds after using Dire Beast/Dire Frenzy. Roar of the Seven Lions is a Legendary belt that causes Bestial Wrath to also reduce the Focus cost of all your abilities by 15%. Qa'pla, Eredun War Order are a pair of Legendary boots that cause Dire Beast to reduce the remaining cooldown on Kill Command by 3 seconds. The Apex Predator's Claw is a Legendary ring that causes your pet to gain the passive abilities of all the three pet talent specializations, Cunning, Ferocity, and Tenacity, and also deal 5% additional damage. Noteworthy abilities that a Ferocity pet will receive include Boar's Speed which increases your pet's movement speed by 30%, and Great Stamina which increases your pet's total health by 60%. If you get this Legendary, set your pet spec to Tenacity to gain the damage effect of the Charge ability. 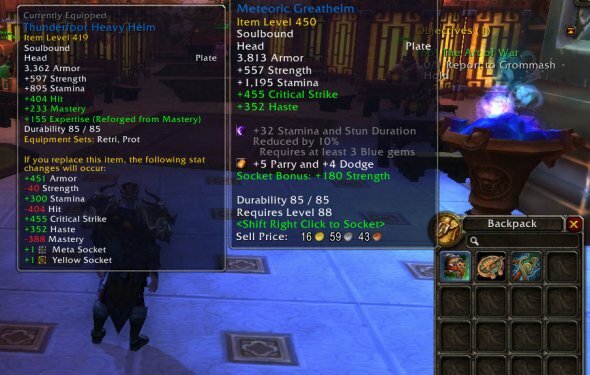 Unlike most other specs, Beast Mastery has a lot of Legendaries that can be considered best in slot for your particular gear set, set bonuses and resulting talent choice. In general, Roar of the Seven Lions is nearly always best, but the second slot can be occupied by anything from Sephuz's Secret to Parsel's Tongue. The only truly undesirable Legendaries are the The Apex Predator's Claw, Kil'jaeden's Burning Wish and Vigilance Perch. To figure out your best combination of Legendaries, we strongly recommend simming yourself using the video tutorial found in the simulations section of this guide.